It is a shochu made from ingredients produced in Hiroshima Prefecture. It is a product that gives back to the community that supports it. The sweet potato shochu has a fruity flavor, smooth feel, and a distinctive, refreshing aftertaste. 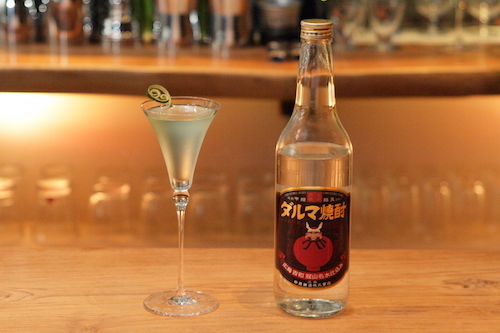 We have made a barley shochu with a flowery flavor and fruity taste by utilizing vacuum distillation. Made with the famous mineral water from Wasabi no Sato, it is a Ko shochu that has a unique smoothness. Although CHUGOKU JOZO has almost 100 years of experience brewing Ko shochu, we waited to make an Honkaku shochu until the time was right. Focusing on Kyushu, the origin of shochu, we set out to create our own unique flavor instead of copying the original taste. We use a「Beniazuma」created from sweet potatoes that were grown in Hiroshima Prefecture. In Kyushu, sweet potato shochu is usually made from a sweet potato called「Koganesengan」and has a special flavor. However, people either love the flavor or hate it. 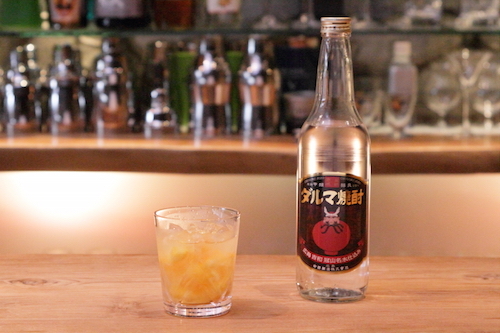 We experimented and decided to use sweet potatoes that have a sweeter and more refreshing taste than Koganesengan and the「Beniazuma」has led us to the shochu taste we were looking for. At that time「Beniazuma」was not produced in Hiroshima. Since we were particular about using ingredients made in Hiroshima, we tried to find farmers who were willing to produce Beniazuma for us. After having a difficult time finding someone, JA Shobara agreed to produce Beniazuma for us so we can produce our shochu. We now have producers in Shohara, Toyohira, Togouchi, Etajima, and Hatsukaichi. Because Beniazuma is sweet and tasty, it is often the primary choice for baking. You can buy it at markets, so we encourage you to try a Beniazuma baked sweet potato. Because of recognition we received for our sweet potato shochu, we decided to produce a barley shochu. We used「Six-Rowed Barley」, which is produced in Sera, Hiroshima Prefecture. 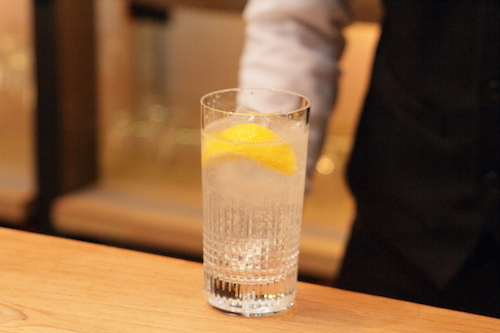 Usually「Two-Rowed Barley」is used to produce barley shochu. But after asking farmers in Hiroshima to produce it, we found that it was vulnerable to the cold and it was not able to grow in the harsh mountainous regions of Hiroshima. Thus, we decided to use the「Six-Rowed Barley」produced in Hiroshima Prefecture. Afterwards, we found that the best quality barley was produced in Sera City, Hiroshima, and we decided to use it. Compared to two-rowed barley, six-rowed barley creates a savory flavor and refreshing taste. Originally, the crops used in our shochus, 「Beniazuma」and「Two-Rowed Barley」, were not locally grown in Hiroshima Prefecture. Despite these challenges, there was a reason why we wanted to use ingredients grown in Hiroshima. It was the concept of the「Daruma Shochu」brand itself. The Daruma Shochu brand was originally made to support farmers and sake stores in Hiroshima Prefecture. We, sake brewer, exist thanks to the people who are in the industry for producing ingredients and sake stores for selling the sake we make. Therefore, using local Hiroshima ingredients will always be our first priority. We believe our company lasted for 100 years because we placed a high value on making local people happy by producing sake with the ingredients they grow. We will continue to cherish our local ingredients.